Students with the UW Division of Social Work actively pursue opportunities on the UW campus and surrounding communities to both assist with volunteer and humanitarian effort, and as part of their academic assignments, to do research to better understand circumstances that can impact communities. 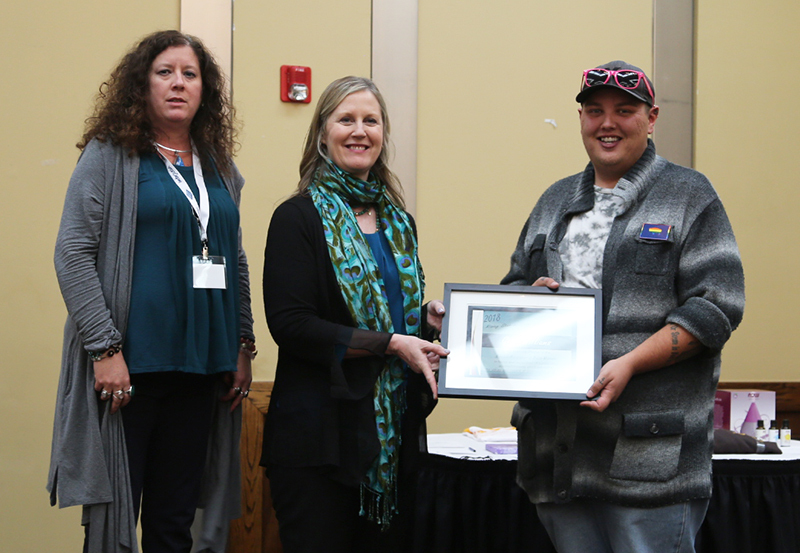 For Gage Williams work as the NASW Wyoming Board BSW student representative last school year and for his advocacy work in Casper for the LBGTQA+ community, Williams has been recognized as a rising star in Social Work. He received the Work Award by the National Association of Social Workers (NASW), Wyoming Chapter, at the Wyoming Counseling Association and NASW 2018 Joint Annual Conference held in Casper, September 20-22, 2018. With his help, the non-discrimination resolution passed in the Casper city council. He also works to bring a sense of community and visibility to the LGBTQA+ community with the non-profit he founded, “Out in Wyoming” and organizes an annual pride event that has grown from a 100 person gathering to over 500 people. Williams nonprofit is currently working on opening a resource center and compiling a list of service providers who are knowledgeable about LGBTQA+ issues so that people feel supported and are reminded they are not alone. From left: LaRae S. Stibitz, LCSW, Veronica Pedersen, Executive Director of the National Association of Social Workers, Wyoming Chapter along with award recipient Gage Williams. 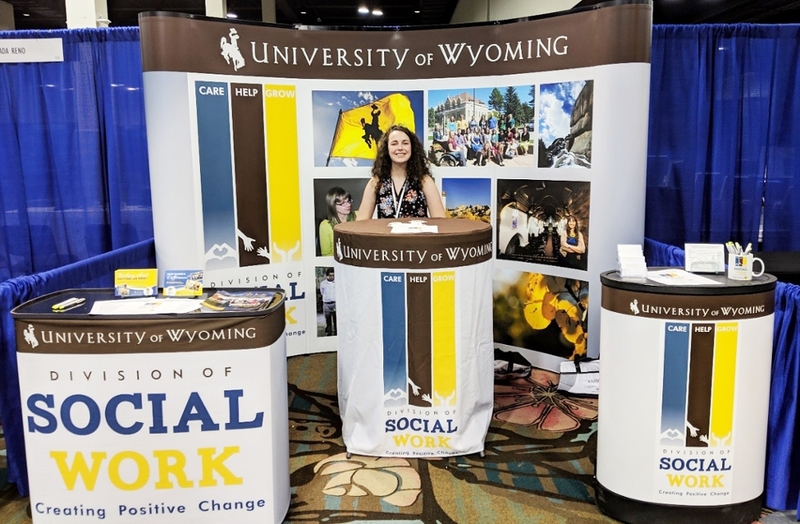 If you are interested in supporting the efforts of the UW Division of Social Work and its students in staying connected to their learning and local communities, and providing needed support of scholarships to help students achieve their academic goals, please contact sowkmail@uwyo.edu. Would you like to help now? Go to Support the Division of Social Work to learn how you can provide financial support and where that support is needed. Are you an alumni of the UW College of Health Sciences Division of Social Work? Find out how you can stay connected with the Division and enjoy the many benefits of being a member University of Wyoming Alumni Association!